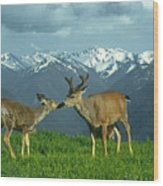 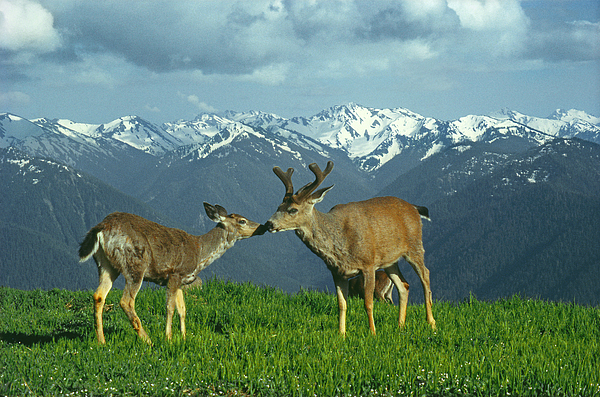 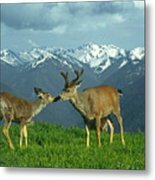 Black-tailed deer, ODOCOILEUS HEMIONUS, seen on Hurricane Ridge, Olympic National Park, June 1978. Image taken in 35mm film format using Kodak Ektachrome. 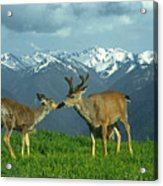 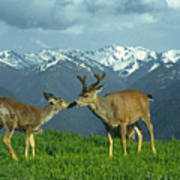 TTITLE: "Deer in Love".